Titanium Grade2 Flanges exporter, ASTM B564 Titanium Gr 2Flanges, ANSI B16.5, ANSI B16.47, ANSI B16.36 Titanium Flanges, ASME SB363 Titanium Alloy Flanges, Titanium Grade 2 Flanges, Titanium Grade 2 Slip On Flanges, Titanium UNS R50250 Blind Flanges, GR 2 Ti WNRF Flanges, manufacturer, Suppliers, Exporters, Mumbai, India. Titanium Grade2 flange is high quality flanges manufactured by us in our state-of-the-art facility. These flanges are used in different industries which require oil, gas and chemicals to be carried through pipes to distant places. The Grade2 flange by Calico Metal Ind Pvt Ltd are of top notch quality and find application in many industries. These flanges are manufactured using finest raw material and technologies and hence the end products meet the highest standards. We are one of the most reliable firm when it comes to flange grade 2. 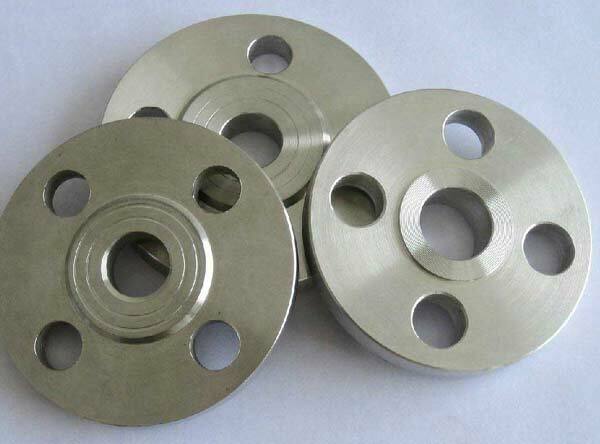 We are also the supplier and exporter of Grade 2 titanium flanges and make the product available in various markets. Our titanium flanges are approved by LRIS, BVIS, DNV, BAX COUNSEL, PDIL, SGS and NTPC. Certified by TUV NORD according to PED 97/23/EC, these titanium flanges are available in wall thickness of 0.9 ~ 4 MM. Calico Metal Ind Pvt Ltd is a well known brand in the industries of stainless steel manufacturing, and a leading exporter and supplier of Titanium Grade 2 Flanges in the country. The company has an illustrious clientele that increases to market in several countries, and is recognized as an innovator in the market when it comes to their products and finishing excellent quality. Calico Metal Ind Pvt Ltd all-round group of professionals with highly effective background moments and comprehensive experience in manufacturing and managing of Titanium Grade 2 Flanges. The business also has an worldwide level revenue staff that carefully works with customers all over India and worldwide.